This is an edited version of Nemani Delaibatiki’s My Say in the 4 The Record FBC TV programme last night. 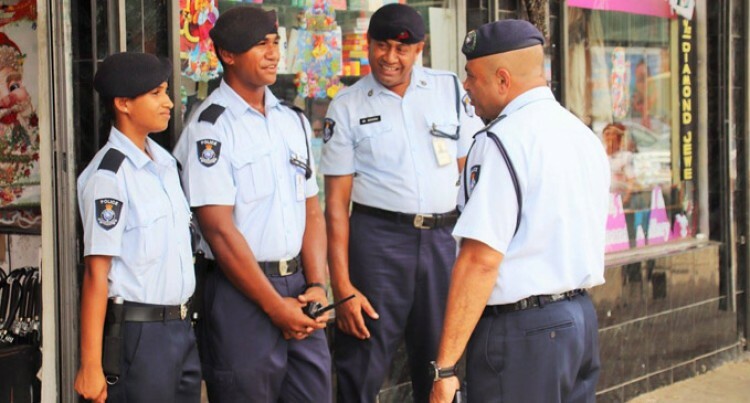 Another Police officer has been hurt in an alleged attack in Sigatoka. Offenders just don’t get it. It is unlawful and a serious crime to attack Police officers while carrying out their work. Chief Operations Officer ACP Rusiate Tudravu is heading to Sigatoka today to meet the injured officer. He will then issue a statement. He had earlier warned that the issue of officers being attacked or threatened during the execution of their duties would not be taken lightly. Police will use all the resources at their disposal to hunt down the alleged perpetrators and bring them to justice. So if you are thinking of confronting our law enforcement officers with an ulterior motive, please think again. There’s no ambiguity in that statement. You cannot avoid the consequences of your action. If you resist arrest and attack the Police in the process, be prepared to face the consequences. A 25-year-old man is now in Police custody in connection with the alleged Sigatoka attack. The 24-year-old Police officer was with a team of Police officers chasing the suspect when the incident occurred. The suspect later surrendered himself at the Nadi Police Station on the same day. The hurt Police officer sustained injuries which were a two to three centimetre incision wound approximately one centimetre deep on his right hand above the elbow, Police said. This latest incident raises the question again whether Police should be armed to protect themselves. There have been many studies on this subject. The best way to go is to stick to the status quo. The Police remain unarmed, but when they need armed support they will call the military to provide it. In the war against illicit drugs this arrangement has been working very well. One study suggests that instead of sophisticated gear, guns and hiding behind gas masks, it is better to put cops back on the beat and talking to the community. Another study says dashboard and body cameras have been shown to reduce excessive force and improve officer safety. Community policing still proves an effective way of fostering a positive working relationship between the Police and the community. There will always be those engaged in anti-social behaviour. With the help of the community, a clear message must go out that our Police officers need all our support to keep us and our properties safe from criminal elements. Any attack on them cannot be condoned. It has no place in our society. There must be a hardline approach to deal with this matter in much the same way as we make noises against alleged Police brutality. Police officers are humans just like us. They are subjected to all kinds of pressure and work in high-risk situations. Let’s resolve today to give them the respect they deserve. It’s in our interest that we do so.